You may have the experience of trimming your Christmas tree, but trimming big trees and removing their trunks is something different. These jobs need training, proper tools, experience and skill. Only professional tree surgeons should perform this job. However, they should also follow some safety measures to protect themselves as well as their co-workers and the passersby. Ensuring the safety and accuracy of the tree service is mandatory for every professional arborist. 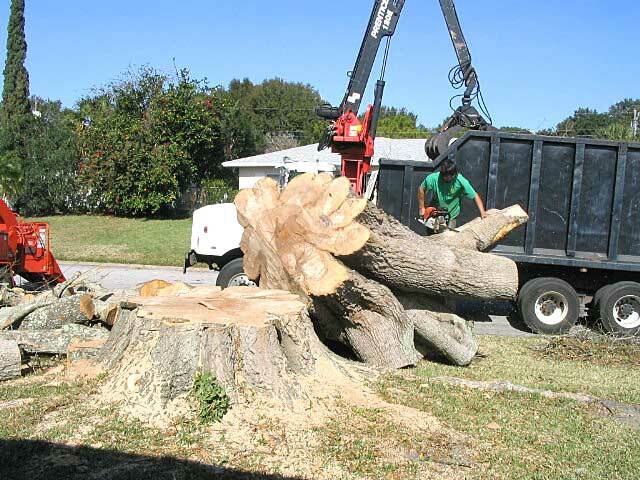 When someone hires the professional tree removal service provider, then they expect safe and secure work process. The removal of branches or limbs of a tree without removing the entire tree can be risky. Thus, some steps must be taken to ensure the security. The professional arborists must use portable power tools to trim the big trees without removing the entire tree. They may need to climb the tree and trim or prune the branches. Sometimes these branches daggle dangerously and managing them can become a tough task. Only an experienced and skilled professional can do this flawlessly. Wearing the right PPE or personal protective equipment is necessary to ensure the safety of the arborists when they are climbing the tree and using those sharp tools to cut the limbs. Removing the trunks or cutting the limbs can cause injuries if they do not wear the PPE in the proper manner. Wearing the leather gloves and the right shoes is mandatory to avoid any unwanted situation. Every tree is different, just like a human being. Thus, the treatment must be different too. Therefore, the professional arborist should inspect the tree well before he starts trimming the same. Every landscape needs different types of tree service. As a professional, the arborist can understand this very well and handle the matter according to that. In case you are using a ladder, then make sure that the tree is strong enough to take the weight of the same. It is also imperative to check the weather before the arborist starts their work. A professional arborist will never do their job in bad weather. Whenever, you call them; they will check the weather forecast for that day and then determine their schedule. Checking the power lines is also necessary to ensure the safety of the professionals who are offering tree services in residential as well as commercial areas. They do not keep their tools near the power lines to avoid accidents. Tree cutting equipment that can conduct electricity should not be kept along with power lines. This may cause some serious damage. Death and other serious injuries may happen to the passersby or the workers. The professional arborists always climb the tree very carefully to offer tree services Brisbane Southside. They check the condition of the tree and make sure that it is good for climbing. Otherwise, they take the help of a rope or other tools to reach those branches or limbs that should be cut and removed.